A Green Smoothie Recipe for Weight Loss! 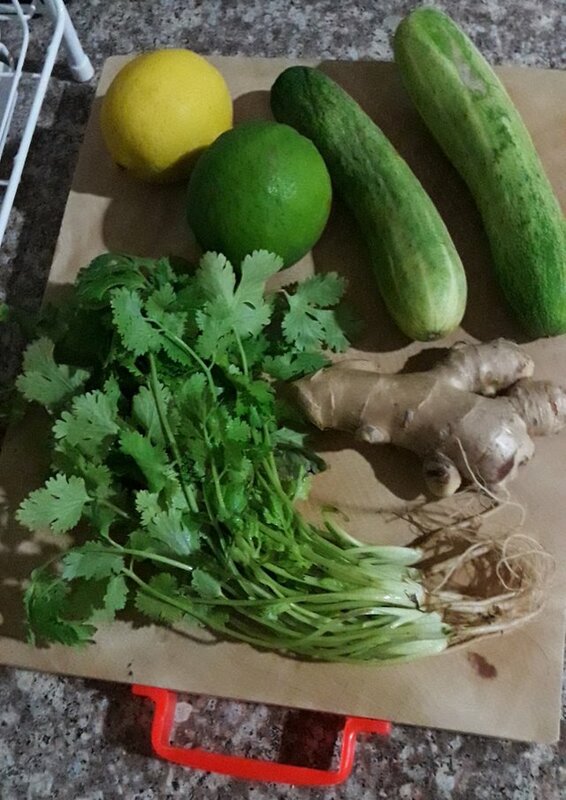 Today I am trying for the first time a green smoothie from a recipe that I saw a lot on YouTube that is supposed to be drunk in the evening before bed and can help to lose belly fat! 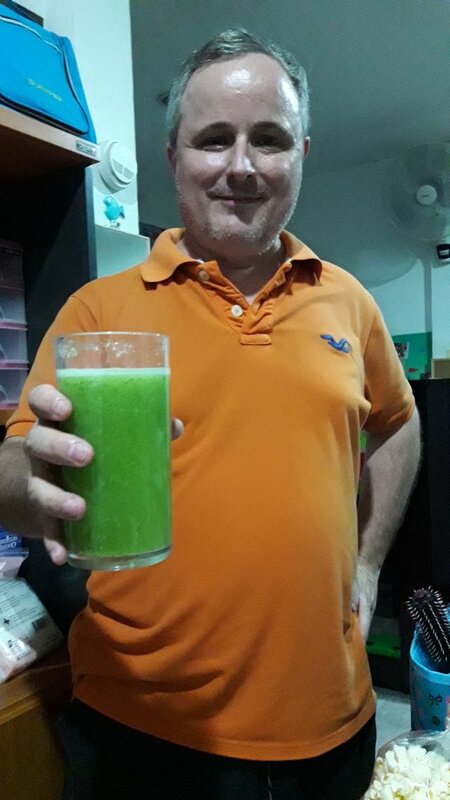 I usually make delicious fruit smoothies with sometimes a bit of green that I drink in the morning or during the day, but this one is only green vegetables I usually don't like to eat. 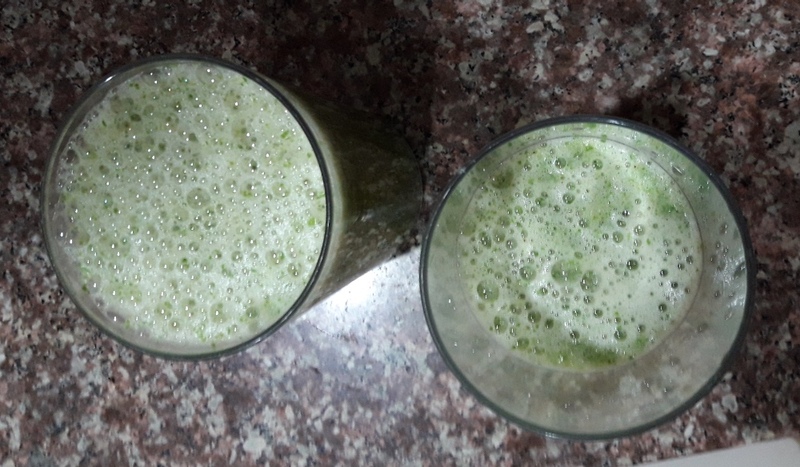 A green smoothie is much healthier than a fruit smoothie because it contains only greens and after having made it, I am not sure if I will like the taste and be able to go with my plan of drinking one glass for a week, hoping it will help me lose weight a little bit faster than only exercising an hour per day. I have been exercising for 2 months every day and had lost some weight, but that is very slow, and I'd like to go a bit faster. 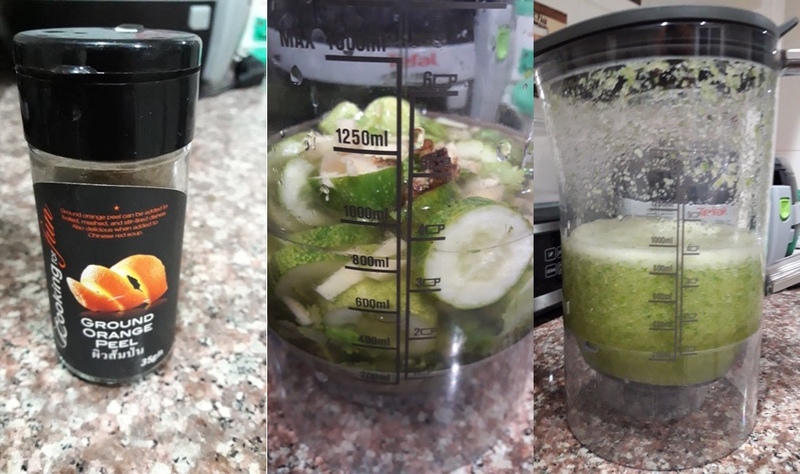 I am experimenting here so don't take this as a miracle recipe for weight loss, I may adjust it as I go to find something that taste OK for me and that I can consume. 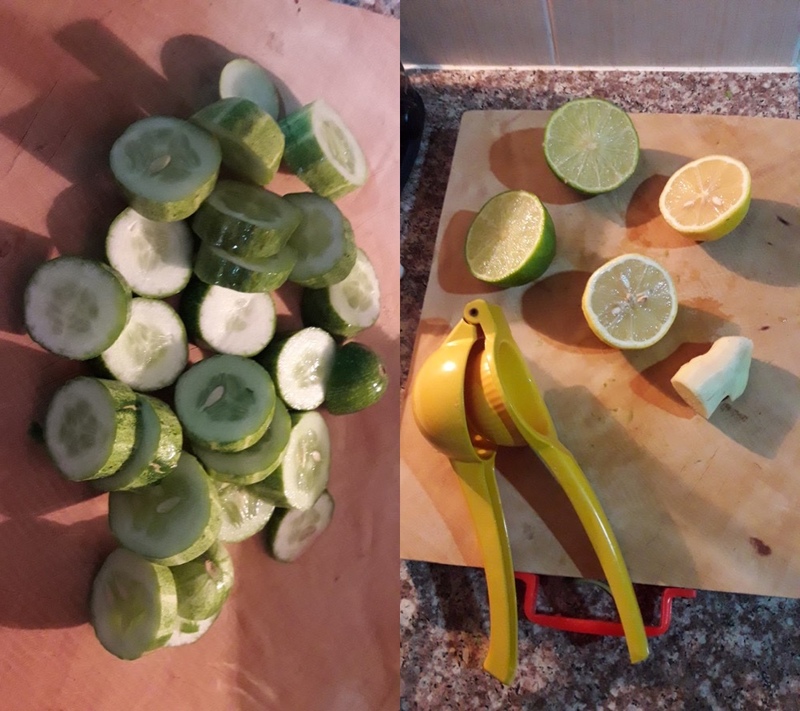 I did not have exactly what they suggested, but they all agreed on coriander, lemon, lime cucumber and ginger. That's going to be hard, I hate cucumbers! The lime and lemon are OK but maybe it's going to be too much in the mix, I don't know. Ginger is also something I'm not used to eat, so I use a very small piece. In the recipes I have seen they suggest to add turmeric or pepper, which I did not have so I tried ground orange peel. I added the water and you can see the result. I have 1 glass and a half of this vegetable mixture now. I tasted it a bit, and it seems like I have too much lemon or ginger in it. It is also not liquid enough, so I added much more water and it looks like it is more drinkable that way. Wish me luck! I might not have the same smile tomorrow. Are you drinking green only smoothies or juices? Do you have any suggestions? 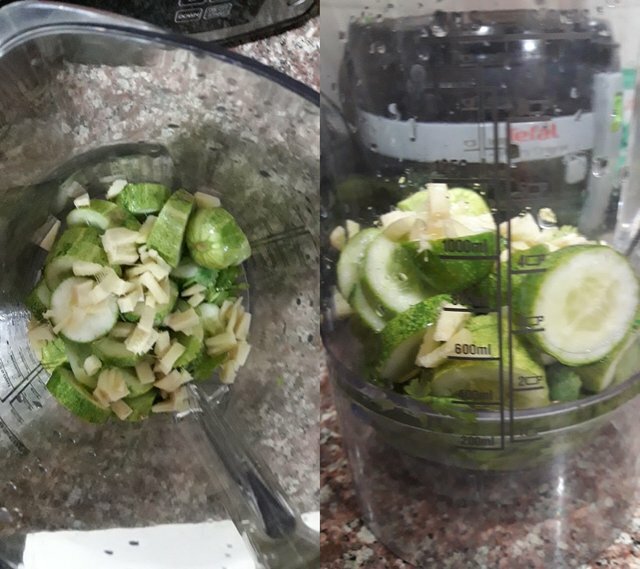 I hope that you enjoyed this post with photos, which is my first green smoothie recipe. 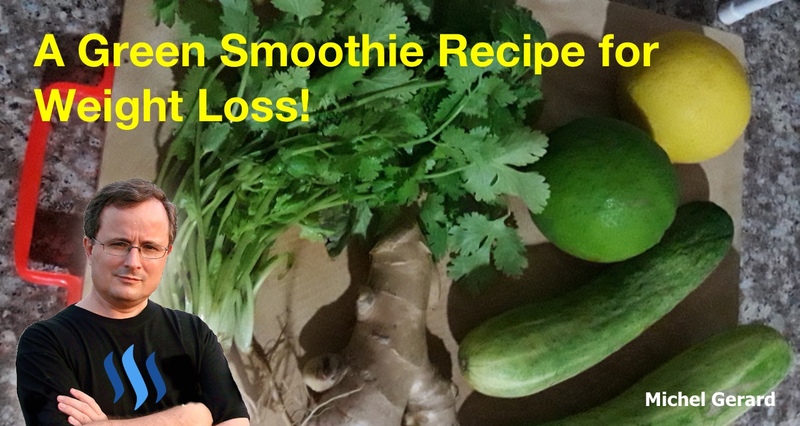 Please upvote if you'd like me to post more smoothie recipes like this one. Would you please help @jerrybanfield become a top 20 witness because you can help funding projects to build Steem as explained here? Vote for jerrybanfield as a witness or set jerrybanfield as a proxy to handle all witness votes at https://steemit.com/~witnesses. Read the 5 reasons why I'm voting for Jerry Banfield as a witness and how to vote in my post. That is awesome smoothie for lose weight! 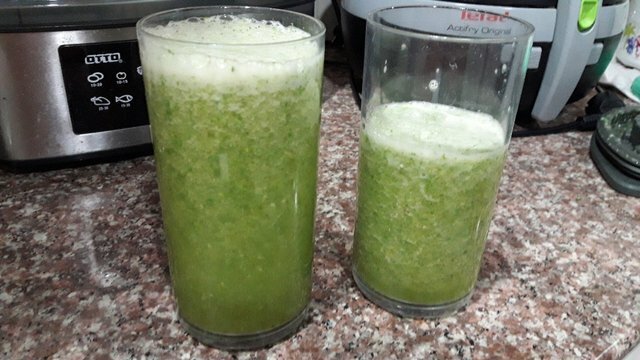 From my opinion, I think it is much better to drink that smoothie right in the morning, not in the evening because it is full of fiber which is great for diggestion and will stimulate your metabolism during the whole day. Also, vegetables have some small dose of carbohydrates so it is better to eat carbs in the morning which will give you energy for the rest of the day. Thank you very much @gymbuddy for your comment and advice to drink it in the morning. I will visit your profile. Thank you @karolowsky for your useful comment. Looks like another step of your fitness challenge. I love fruits and vegetables. Thank you for sharing and inspiring people to stay healthy and fit. Thank you for your comment. After having it for two evening, I can see that it's working for weight loss, but it was difficult to swallow the first day! You got a 1.86% upvote from @postpromoter courtesy of @gmichelbkk! Want to promote your posts too? Check out the Steem Bot Tracker website for more info. If you would like to support development of @postpromoter and the bot tracker please vote for @yabapmatt for witness! Thank you @gmichelbkk for making a transfer to me for an upvote of 5.83% on this post! Half of your bid goes to @budgets which funds growth projects for Steem like our top 25 posts on Steem! The other half helps holders of Steem power earn about 60% APR on a delegation to me! For help, will you please visit https://jerrybanfield.com/contact/ because I check my discord server daily? To learn more about Steem, will you please use http://steem.guide/ because this URL forwards to my most recently updated complete Steem tutorial?